Your website is a valuable marketing asset. So it makes sense to invest in its design to make it better for potential prospects. In fact, many of the largest companies pour a tremendous amount of resources into their websites. Because even a single design can have a dramatic impact on conversions and bounce rates. But it is also important to remember that a simple design is key to driving conversion goals. Cluttered designs with poorly contrasting colours only serve to confuse visitors. Your website design should be readable and easy to understand so that visitors have an intuitive sense of what to do next. One way to create a more enjoyable browsing experience is to implement whitespace. The use of whitespace is perhaps one of the most important elements of web design. Yet there are still a countless number of websites that look like an infomercial with elements that bombard new visitors. Here we look at whitespace in more detail and how this simple design principle can boost engagement on your pages. Whitespace refers to negative space, or the empty space between elements on a page such as images and text. In other words, whitespace is the portion on page that is not filled up. Although it is called “whitespace”, the empty space can actually be any colour such as black. It is not immediately clear what the business offers or what actions visitors should take. Just with a simple comparison, the advantages of a clean design is immediately apparent. Whitespace may seem like a waste. But as we have seen, it can be used to great effect and keep visitors on the page longer. And this can ultimately mean the difference between exceeding sales goals or struggling to meet them. Improved legibility: Nothing is more frustrating than landing on page with text that is too small or with minimal line spacing. Improved legibility is one obvious benefit of whitespace. Just by adjusting line spacing and adding more space around images can help visitors better understand what they are reading. This is key to boosting engagement and reducing bounce rates. Ability to highlight CTAs: Imagine if Google’s homepage was filled with links to other pages or other elements such as banners. Both would likely have a negative impact on the number of search queries, which is the last thing that Google would want. 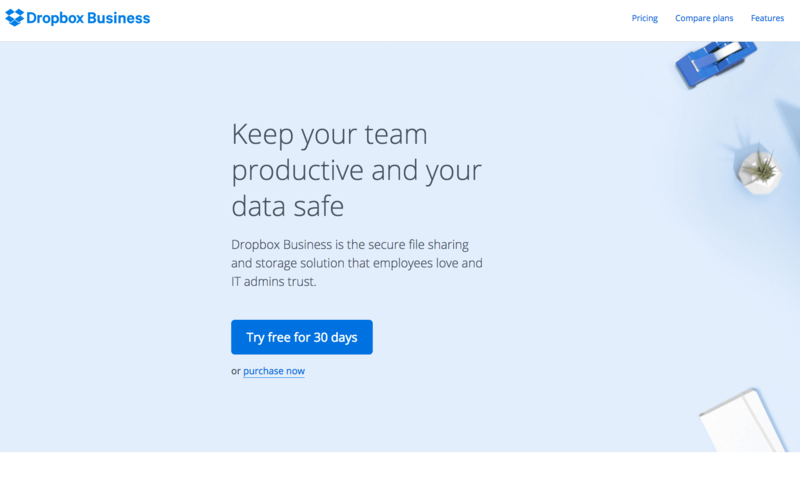 Making use of whitespace then is a great way to highlight call to actions and get visitors to take a single action. Creates a lasting impression: There is a reason why some of the largest invest heavily in their website design. Because online users are quick to make impressions based on what they see. Whitespace is especially important as it adds a sense of elegance to your site. Less is more as whitespace can really make a difference in terms of your website design. A clean interface makes it easier for visitors to immediately grasp what a page is about and what actions to take next. The goal for any website is to keep visitors engaged and generate more sales or leads. Whitespace helps to achieve those objectives. The use of ample whitespace is a basic web design principle that can dramatically improve your website performance in terms of conversions. So take a closer look at all the aspects of your website to identify how you can make your design simple and uncluttered. Today’s always-on global world could make your business location seem to be an irrelevancy. But the opposite is true. Local marketing is now the fastest-growing part of online marketing specialisms. And it matters. Let me explain. So here are 3 examples for you to use when considering international website domains. A client asked “We operate in Australia and New Zealand and not sure whether our NZ target market (women 25+) will find our Australian connection appealing or a turn off, given how very passionate and patriotic us Kiwis are! I’m getting mixed messages when I ask around. My advice is to use a single web domain as the master site for both countries and then to have separate pages for the two locations. Here’s why. Aussies versus Kiwis – Broadly they are correct, New Zealanders want to think they’re seeing local information (and importantly local currency and phone numbers) and of course small differences in language and rugby club orientation may also come through in brand communications over time. Do Australians eat afghan biscuits? Do Kiwis eat chiko rolls? Ultimately the solution you choose MUST be driven by the strategy for each country. Is the website a place where people find out about you, get news on specials and what’s new, will they email you, will they phone you? If yes, then the website must facilitate separate information for each site. Set the strategy for the website first, then worry about the technical implementation. Take a look at this case study of some work we did for a client who needed his visitors to quickly split up into pages best aligned with their needs. The home page says what the business brand is all about – the owners, your values and passions. I would treat the NZ page effectively as your local domain and give it a really simple URL and so all links to the New Zealand business go there first. An alternative to this location split is to have parallel websites which have slightly different domains e.g. nz.yourwebsite.com and au.yourwebsite.com You often see this device used by international law firms and accountants. This can be set up by your web hosts. In practice this means few visitors go to the home page…. but that doesn’t really matter as long as local audiences are being served. By contrast, we got approached by a Perth business asking to do some content marketing with us. They sounded like a good prospect and we fixed a phone call. I rang, answerphone with an English man’s voice…. so I looked him up on LinkedIn and it turns out the business name is BusinessName (Thailand) Co. Which rang a few alarm bells. And his stated location was Manchester, UK. Clearly a disconnect. When we spoke he said although their phones were VOIP and used Australian numbers; he was actually based in Thailand and he couldn’t make outbound calls to international numbers like mine in New Zealand. As any Aussie or Kiwi business will tell you, it’s extremely odd not to be able to phone the other country while doing business. Nimbus Portal Solutions are a client and they trade in five jurisdictions – Australia, United Kingdom, New Zealand, USA and South Africa plus “Global” to pick up the rest of the world. Their chosen solution to the website location question is to locally identify the IP address of the visitor and to quietly re-set the website version to the domain best suited. So my default goes to NZ. You can check this top right in their website where a country name displays. The main goal for Nimbus is to ensure all the currencies are local and bank account / trading entities switch to match. Which is important for their business as jurisdiction for secure document storage matters – borders and locations of server hosting are aligned to the local country to stay within data protection laws. In summary – set the website goal first and the supporting strategy will then drive the solution which works best for your situation. https://creativeagencysecrets.com/wp-content/uploads/2016/12/Daniel-Lummis.png 526 1306 Rebecca Caroe https://creativeagencysecrets.com/wp-content/uploads/2014/04/CAS_Logo_1line_RGB.jpg Rebecca Caroe2016-12-08 07:00:402016-12-08 09:54:26Do Consumers Need to Know Where Our Business is Located? Google now processes over 3.5 billion searches per day, every single day. No wonder 10 out of 10 businesses want only one thing: to appear on the first results page for keywords related to their industry. This kind of visibility is the promise of a tonne of organic traffic, new leads and sales. In this case study, you’re going to see how we used SEO (Search Engine Optimisation) to push a client’s website from the second page of Google to the second position on the first page, for the desired keyword in the whole of New Zealand. 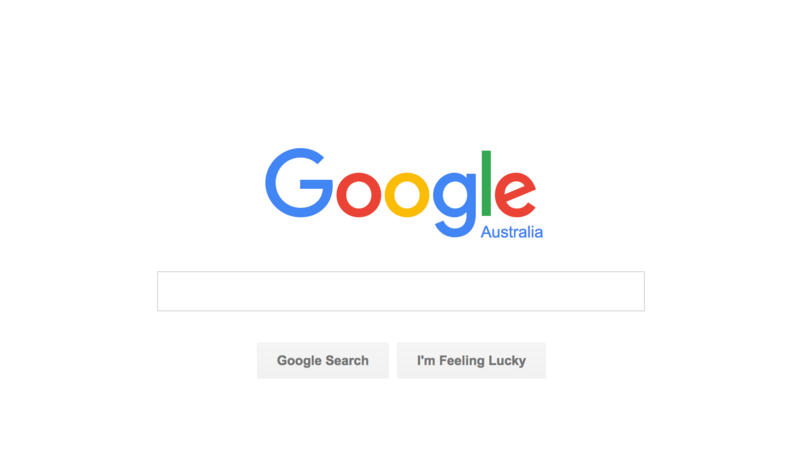 What’s the real benefit of being on the first page of a Google search? Well, I’m glad you asked. According to data from the Moz blog, “71.33% of searches result in a page one organic click. Page two and three get only 5.59% of the clicks.”. That means if your website is not ranking on the first page, you lose almost 3/4 of the audience. Imagine you have the opportunity to pitch your business to 10 new clients and, as soon you enter the meeting room, 7 of them just stand up and leave, without you saying even a single word. Our client, Baucher Consulting, a specialist tax advisor office in Auckland, wanted to increase the amount of relevant traffic on their website, consequently resulting in more queries for their services. We discussed this necessity and defined the solution to be, primarily, an improved effort on on-page SEO. 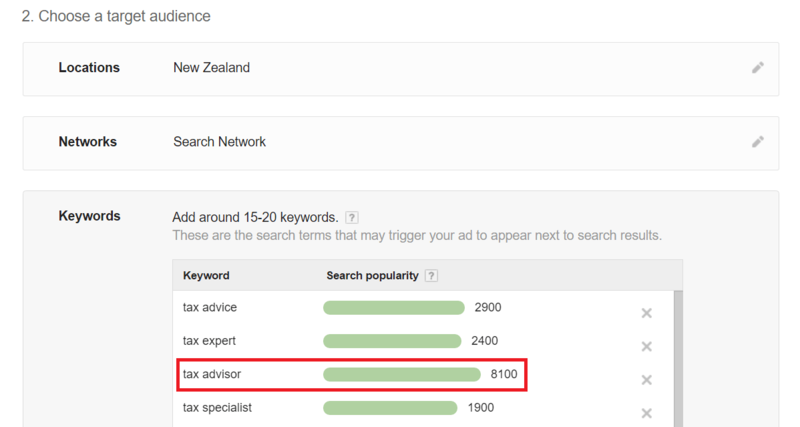 After researching on the Google Keyword Tool for specific keywords pertinent to the client’s industry and services, we targeted the keyword “nz tax advisor”. When you buy a desired product, sometimes going local is not a major concern, and ordering from overseas is commonly the case. But services, on the other hand, tend to be a lot more “geographically sensitive” for most of us. If I offered to buy you dinner tonight and asked you to choose a good restaurant, you would Google “best restaurants in [city you live in]“, right? You don’t go just “best restaurants”, because a suggestion in another country, let’s say, is not really helpful. I offered you a meal, not a plane ticket! 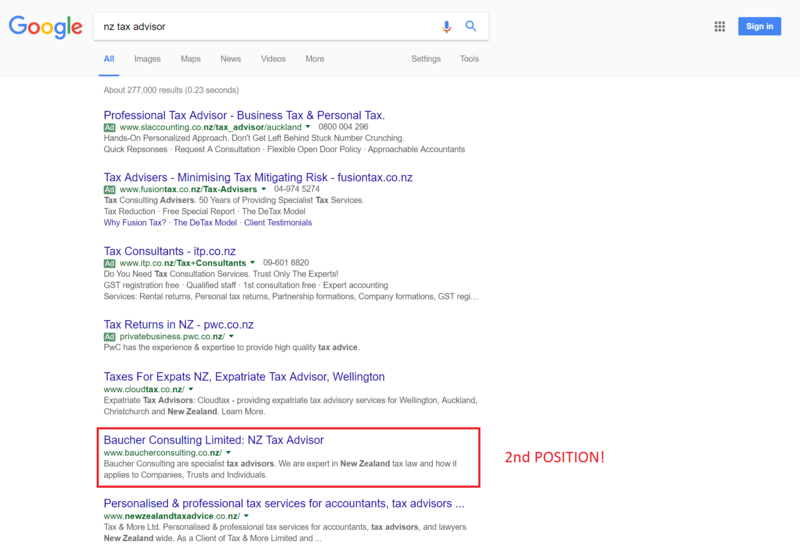 Mixing the prominent keyword tax advisor with some localisation as nz just covers the user’s natural behaviour when researching for professional services nearby. Besides, it also gave us a nice long tail keyword to work with. After a brief Google search, we discovered the client’s website was ranking in the 12th position for the targeted keyword. It’s not a bad position if you think about raw numbers. However, apart from all sponsored results, a standard Google search shows you only 10 organic results (unless you change this in the options panel). This result was leaving our client on the second page, the internet equivalent of a wasteland. 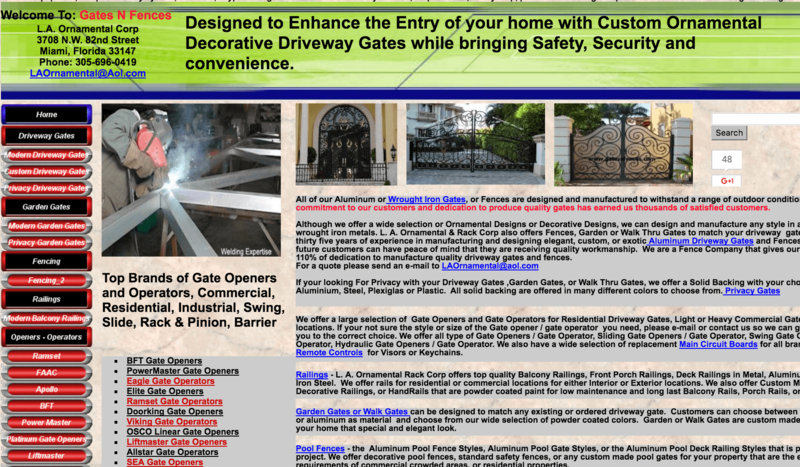 Luckily we’ve been working with this client for quite a while now, so just some fine tuning was needed on the website. First, we included the long tail keyword as the “title tag” on the homepage, where we could previously see only “Baucher Consulting Limited”. In other words, “title tag” is what shows on that big blue link beside the name of your website on a search result. It is, in fact, blatantly obvious as a major part of the decision-making process for a person to click on your result or not. Also, we included the keywords in the meta description (the text below the website address on the image), while explaining the services more deeply. However, working with a single keyword all over your website is not recommended as it can be interpreted as keyword stuffing. In Google’s own words, keyword stuffing can be defined as “repeating the same words or phrases so often that it sounds unnatural”. In the past, this practice was all the rage and several websites used this brute force technique to break through to the top positions. 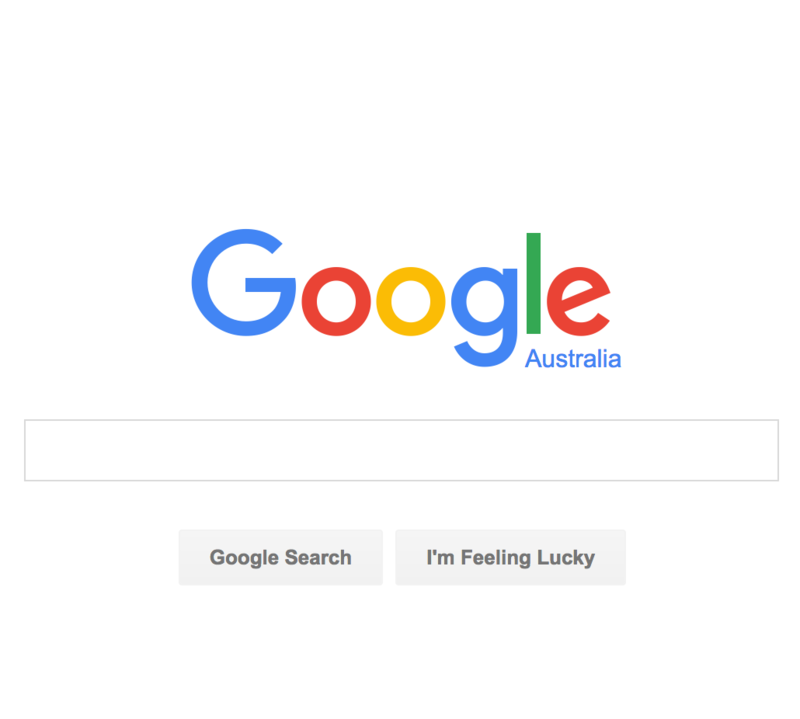 Google’s algorithm learned from it and is heavily penalising websites that still do that owing to the fact that it “results in a negative user experience”. Noticed how we used the word “specialist” in that meta description I showed before? It came from these insightful suggestions. Also, “personal tax advice” is an amazing keyword to target in our current website copy. SEO can never be seen as an isolated project but a perpetual work in progress. The competition for the first places in search results is fierce. That’s why we still have more cards up our sleeve and a few optimisations aligned to Baucher’s website are still coming. Now that our client’s website made the jump from the 12th to the 2nd position on the Google search, there’s only one way we can go: straight to the top. These are two of the most important aspects of marketing a brand. If you fall down in these two connected areas, then you will fail as a business. I’m going to explain why they need to be done well and the individual benefits of both of them. This is the big picture that you need to be aiming towards and image and tone are the main players in making this happen. If you can foster brand loyalty in your customers then you will stay on top of the world for as long as you can maintain that loyalty. The best example I can think off is Apple. The loyalty that the Apple customers feel is bordering on the psychopathic as you just have to look at the detestation they outwardly feel whenever they see an Android phone – even though many Androids are better than Apple phones. They look upon a Sony user like you would if a rabid dog came and urinated on your kid. This is all to do with brand loyalty. Whenever they need a new phone, they will go straight to Apple and the thought that other people have something different both baffles and sickens them. Your brand image needs to be consistent. This is how you present yourself to the world and your customer base. You need to find an image that works and stick to it. The image needs to sum up your business succinctly and make it recognisable. If your brand image stays consistent across your entire business, then people will respond to it well, because they will recognise it, which will give them positive feelings, because if there’s one thing people hate, it’s newness. People want to know and trust their brands and so by keeping up a strong image, brand loyalty will start to grow like bacteria. This is directly tied to your image, but is separate enough that it gets its own section. There is an interesting article here about the tone of voice used for fashion chains. It’s an interesting concept, but it’s all about how you present what you want to say as a brand (which is why it’s related to image). The article uses J Crew as one of its examples and how it presents itself as knowledgeable, but treats its customers like normal people and not fashion experts. Having this tone of voice means that people know where they fit in with a shop like that; perhaps if you spend your life at fashion shows, it’s not for you, but if you like fashion and want a bit of shopping but aren’t an expert, then the place is for you. Most forms of marketing require skilled professionals to help you, however when it comes to brand loyalty, only you can know what is best for your business. Yes, an agency can offer advice, but at the end of the day only you know how you want to be seen in the world.